Resumes are a more popular choice than CVs among job seekers in the U.S. But if you’re looking for work in certain fields or outside of the United States, curriculum vitae are more commonly used. How do CVs differ from resumes? For one thing, they’re typically at least two pages long, or longer. CVs also provide more information than resumes. In addition to your work experience, you should list a more in-depth account of your educational background, including any theses, dissertations or papers, plus awards, honors, grants, scholarships, teaching experience, publications, presentations and speeches, research, and any other achievements. If you’re preparing a CV for an international position, you’ll also need to include a few things that you typically wouldn’t include in a resume or CV for a job in the U.S. For example, it’s common in international CVs to list personal interests, including hobbies, and citizenship status. 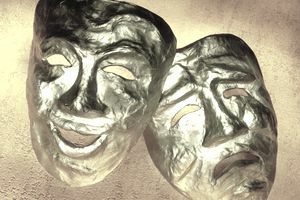 Actors and other theater professionals should consider preparing a curriculum vitae instead of a resume, especially when applying for work outside of the U.S. Keep in mind that performers may want to invert the usual format for curriculum vitae, listing their skills and experience before their education. Casting directors who are reviewing CVs are likely to be most interested in performers’ skills and abilities. This is an example of an international CV for a theater professional. Download the theater CV template (compatible with Google Docs and Word Online) or see below for more examples. Promoted to series regular in TCS 5's drama series "Lifeline." Appeared in feature film, “Candyland,” as Rosemary Lee. Performed in Toy Factory Productions Ltd's "TiTouDao" for one month, held in the New Drama Center, directed by Goh Boon Teck. Role: Swee Lian, Kim Kee, Ah Dui, Narrator, Siew Kin, Dancer. Guest-starred in TCS 5's drama series, "Lifeline." Appeared in feature film, “The Beach House,” as Mrs. Pete (speaking role). Performed in "A Little Night of Drama" at the Inauguration Ceremony for the opening of the New Drama Center, directed by Goh Boon Teck, Toy Factory Productions Ltd. Employed as performing artist in Singapore Armed Forces, Music and Drama Company (SAF MDC), contributing as dancer, actor, anchor host, director, and drama instructor. Supervised all junior artists, developing and leading orientation and various training sessions for dozens of new performers. Majored in Drama Studies at University of Queensland, taking courses in Theater Survey, Performance Concepts, Movement for Actors, Advanced Acting and Scene Study, and more. Took courses in Theatre Studies and Drama at Victoria Community College, including Shakespeare Today, Set and Sound, and Community Theater. Assistant stage manager in production under Dramaplus Arts, script by Jonathon Lim and directed by Roger Jenkins. Wrote and performed in several scenes for student showcases. University of Queensland Drama Department Award, 2014 Awarded in recognition of outstanding achievements in performance and writing. Develop and lead improv program for adult learners, teaching basic and advanced techniques.